The research, published in the journal Human Relations , studied over 600 employees and found that integrating work and home life can actually make employees more effective at their jobs. Switching between your work and home roles is much harder if you try to keep them completely separate, the research suggests. Being actively engaged in one role while also thinking about your other role is known as a cognitive role transition . The larger the separation between the roles, the bigger the transition. 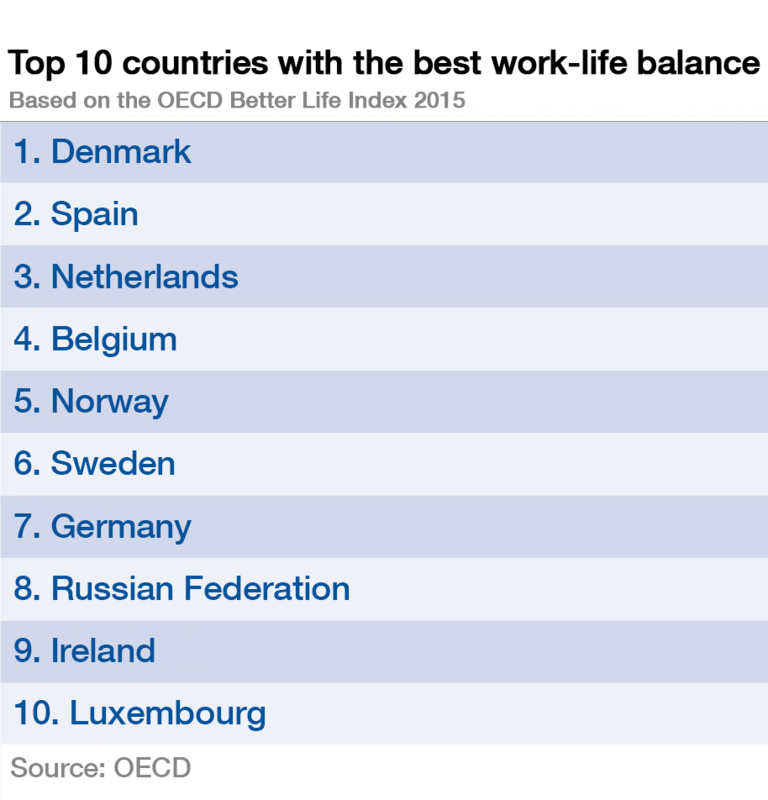 According to the OECD’s Better Life Index , Denmark has the best work-life balance of the 20 OECD countries studied. Most employees in Denmark don't work long hours , and government policies support families with young children, allowing people to balance their work and home life.